An essential part of every kitchen, whether for making pastries, bread, pizza, or all three! Find the right mixer for your kitchen. 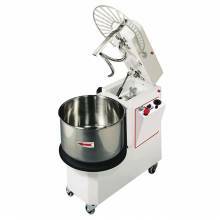 Increase your profits with an all-purpose dough mixer for your kitchen! 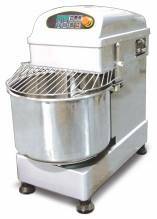 Reduce labour costs and increase bakery production by selecting the proper mixer for your bakery, pizzeria, commercial or home kitchen. 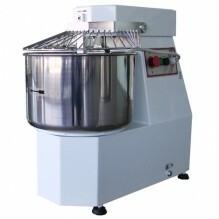 With spiral dough mixers ranging from 30L to 155L, you will be sure to find the right size dough mixer for your kitchen. These spiral mixers allows your establishment to reduce the usual mixing time opposed to traditional machines, which is ideal for any bakery, café, grocery store, or restaurant! 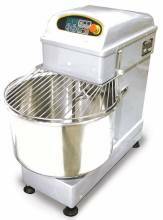 As these mixers functions perfectly with both hard and soft dough, it is perfect ideal for pizza shops and bakeries.